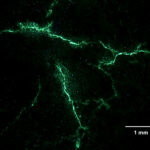 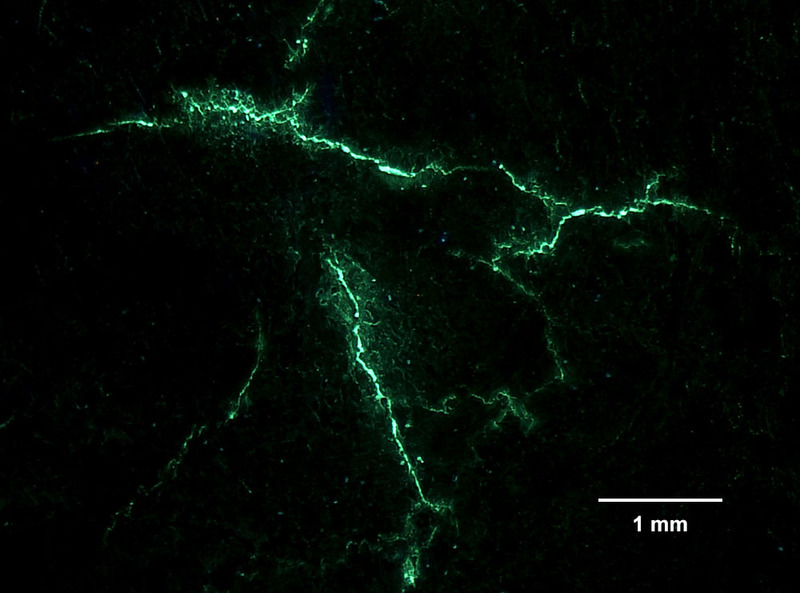 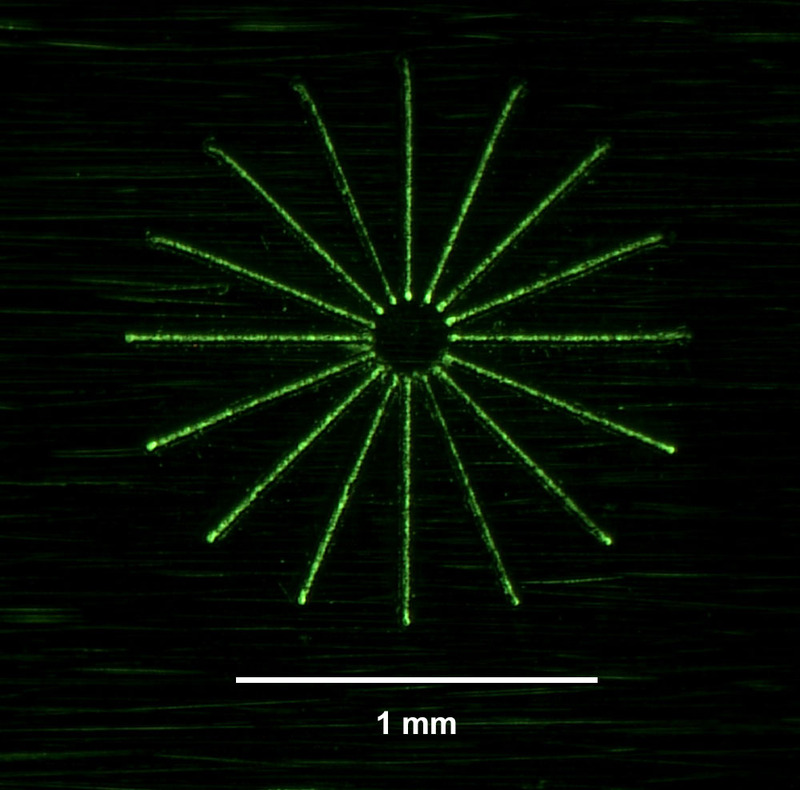 New application note, with lots of images, on the use of fluorescence in failure analysis. 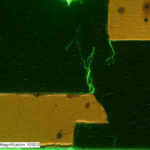 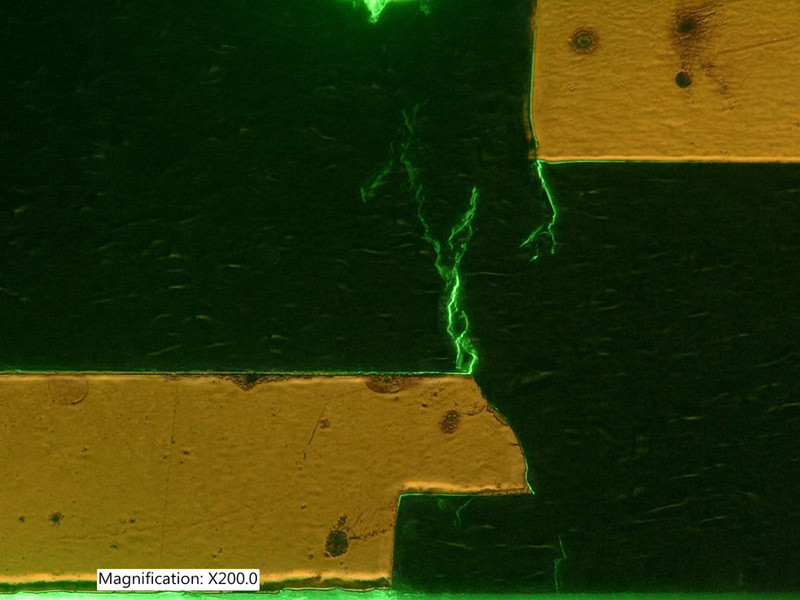 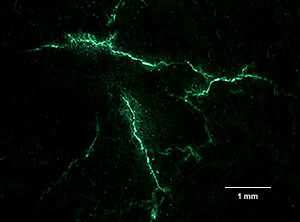 Cracks or other defects that are virtually impossible to see by other techniques can often be easily highlighted with fluorescent penetrants, magnetic particles, or other indicators. 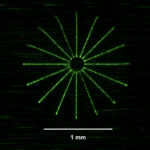 The NIGHTSEA adapters for stereo microscopes and for the Keyence digital microscope can assist in examining these features over a wide range of scales.